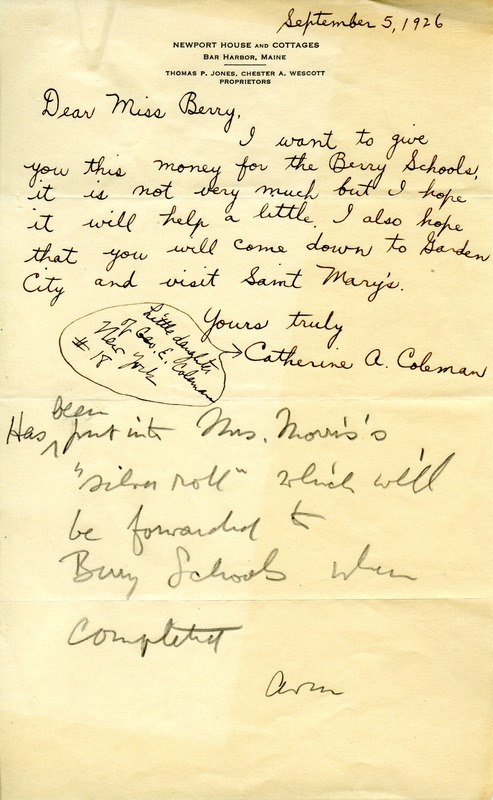 Martha writes to Mr. Coleman that they have received his gift and to inform him they have started the fall term of the school and wishes he will include Berry when he comes south. 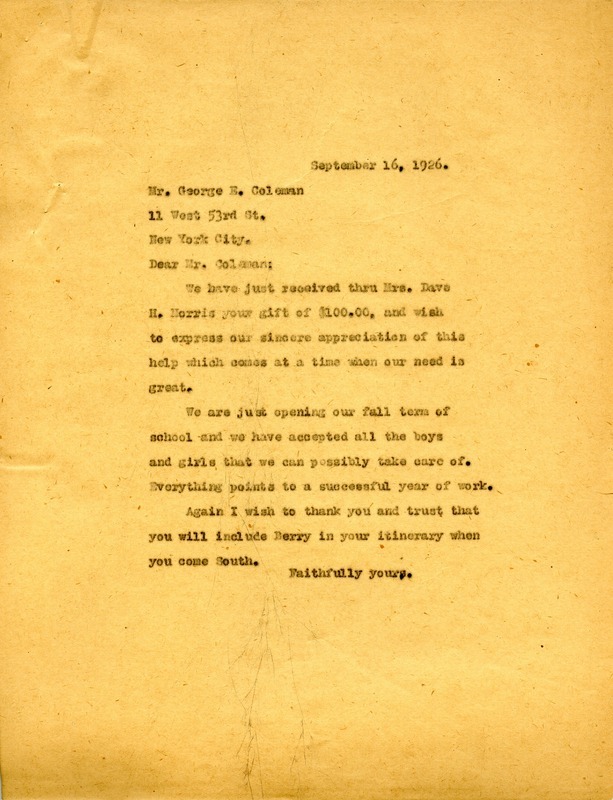 Miss Martha Berry, “Letter to George Coleman from Martha Berry.” Martha Berry Digital Archive. Eds. Schlitz, Stephanie A., Aaron Jackson, et al. Mount Berry: Berry College, 2011. accessed April 20, 2019, https://mbda.berry.edu/items/show/1162.